Make jello with hot water. Punch holes into baked cake. 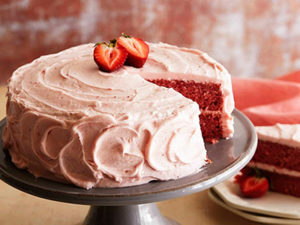 Pour jello mixture over cake. Frost with cool whip and top with glaze.